Previously I write tips about How to reduce image file size without losing quality. The following tips about the image that is How to Convert Image into another Format. As we know, actually there are many images formats such as BMP, DIB, GIF, JPC, JPEG, PCD, PNG, etc. But images format is often used is PNG, GIF, BMP and JPG. If your image file is not in accordance with the format you want, you can change the image format converter. There are many tools that can be used freely. You can use online tool or using the software converter. Here are review and tutorial some tools that can be used to change the image format. Online-Utility.Org support over 100 major image formats and this tool is very easy to use. Click “convert and download” button. Then download the image that has been converted. CoolUtils Image Converter only support these image format are: BMP, JPG, PNG, GIF or ICO. And maximum image size can be converter on this website is 700kb. 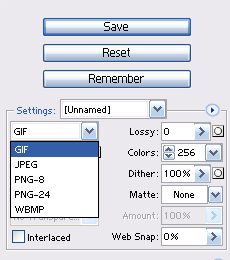 To convert image using this online is easy, for example: you need to convert a JPG file into GIF. Then click the “Convert to GIF” link. Iaza.com only support for image format that is DIF, JPG, PNG and BMP. Download the image that has been converted by right click the image and save in your PC. Pixillion is a free graphics converter and available for Windows and Pocket PC. Pixillion sopprt this image format: .PNG, .GIF, .JPG, .JPEG, .BMP, .JP2, .PSD, .TGA, .PCX, .TIF, .TIFF, .WBMP, .RAS, .PGF, .PPM, .DNG, .RAF, .CRW, .CR2, .KDC, .DCR, .MRW, .NEF, .ORF, .PTX, .PEF, .ARW, .SRF, .X3F, .ERF, .MEF, .MOS, .RAW, .R3D. To use Pixillion Image Converter, click “Add File” with plus icon, then select image to be converted (You can select more than one file). Click convert button to start converting the images. Total image converter is not free software but we can use this software without any restriction. To use this software is easy, just Select image to be coverted, Select image format output then click start to convert the image. Images that have been converted will be stored in the same folder with the original image. Actually there are many software can be use to convert images such as: ACDSee, GIMP or another, But I did not write down here. Related to "How to Convert Image into another Format"
Resetter Canon MP198 – It’s Fake or Not?